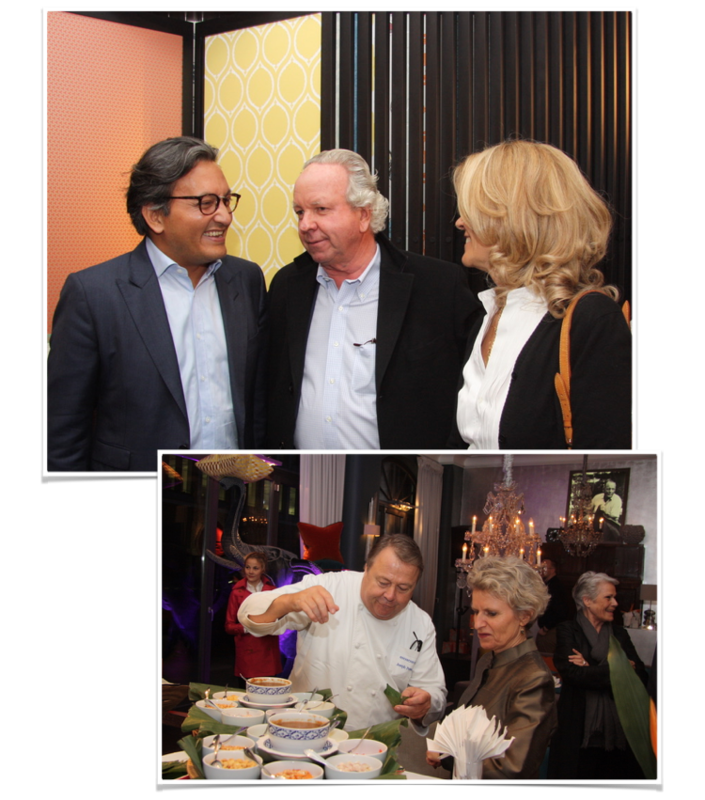 Christian recently welcomed scores of prestigious guests to the showroom once more, this time to celebrate the business’ 10 year anniversary. Attendees had the opportunity to explore the showroom, (which recently underwent a renovation), and to experience musical compositions by Seth Schwarz, a classically trained violinist who merges the traditional string instrument with digital sound. As an ode to the brand’s Asian heritage, Mangostin Asia was commissioned to create a delicious array of Thai dishes for guests to enjoy. Mangostin’s Head Chef Josef Peter was previously the culinary connoisseur for the Hilton in Bangkok, making him an expert in authentic Thai cuisine. 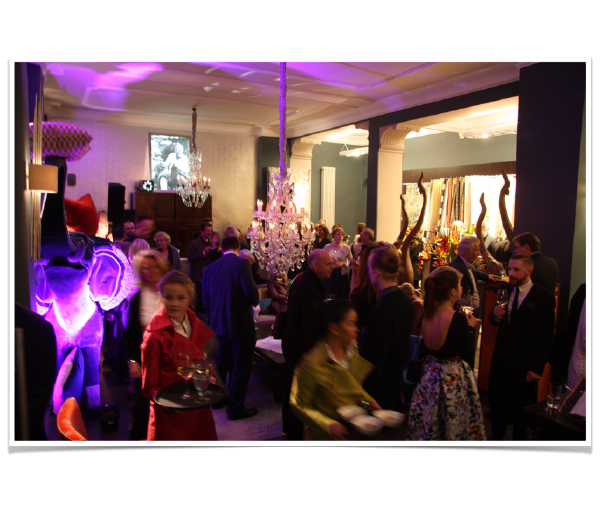 The evening coincided with the opening of the Munich Spring Event (MSF), an exclusive textile trade fair where luxury fabric distributors showcase their latest collections. The JTE celebrations were attended by a string of designers and architects from across Europe, and also by Eric Booth, the Assistant Managing Director of Jim Thompson, who flew in especially from Thailand. A highlight, as always, was the window display created by Douglas Little, who flew in from the US to work on the magnificent exhibit. The grand silk elephant displayed especially for the 10 year celebrations, made solely from Jim Thompson silk, continues a series of installations Douglas has worked on for Jim Thompson worldwide. 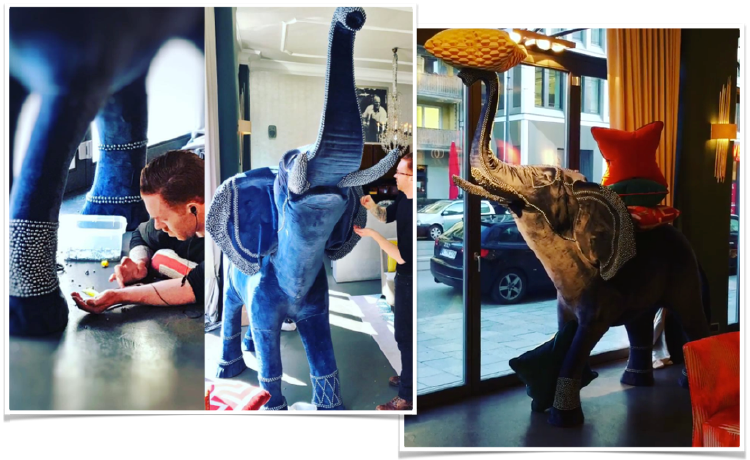 Most recently, the designer created an array of mythical creatures for our Paris showroom for this year’s Paris Deco Off, and a striking petrol blue, silk-velvet lion for the Fox Linton showroom in London. 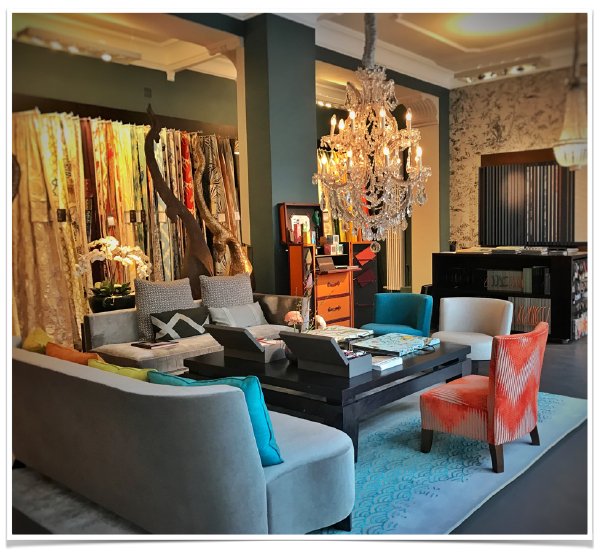 In addition to Douglas’ work, leading furniture manufacturer Philippe Hurel showcased some of their pieces in the new and improved space, alongside stunning rugs by Tai Ping Carpets. In light of JTE’s anniversary and grand achievement, we spoke with JTE’s Managing Director Christian Schirner, quizzing him on Jim Thompson’s European market, his projections for the future, favorite moments, and more. What is your creative vision for JTE? 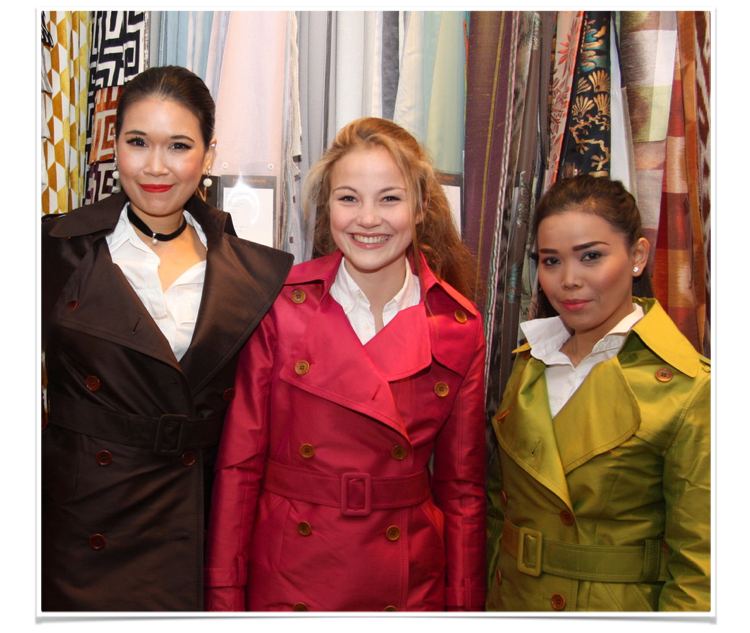 Now, after having taken care of the technical side of the business, the showroom, logistics, pricing, sales distribution, etc., we want to be more active in our role as the European ambassador of Jim Thompson. We are also excited at the prospect of inviting European clients to South East Asia, to experience the art of hand-weaving, and the brand’s unique history first hand. What have been the highlights of JTE, or the most exciting projects in the last ten years? Where would you like to see JTE heading in the future? Thinking globally as a brand, while reacting locally, is and always will be our mission. I also look forward to continuing to bring people from various international backgrounds together as a team, motivating and leading them – this is actually the task that I enjoy the most as MD of Jim Thompson Europe. What is in the pipeline for JTE? Emphasis is currently being put on product development. We have started to add well known brands to our expanding product portfolio. We have also recently extended our product offering into wallpaper and trimmings. Very soon we plan to start working with a European designer to emphasize Jim Thompson’s offering specifically to the European market - colouring will be key! What will you do to celebrate the twentieth anniversary? By the 20th anniversary we hope to have expanded considerably - shops, restaurants, perhaps even a hotel in Munich. Expanding our locations so as to not only invite our clients and partners to celebrate 20 years of JTE in Munich, but also to have the space to invite the local people of Munich to come and enjoy our brand and celebrate our success!